I have a longer 2nd toe than the big toe (Morton's toe or royal toe). The major problem is finding boots or sports shoes that fit properly. If I didn't have this longer toe I would wear a 9 or 9.5 (depending on the manufacturer) but with the toe I am forced to go a size larger or be in pain. When playing sports like hockey, rugby or rock climbing, I buy the smaller size and let the toe get bunched up. It will be less than an hour so I can suffer through it. In hiking and such where the activity will be a lot longer I can't last that long and need to buy the larger boot so I am not in pain. The problem then comes that my foot slides around in the boot which causes slipping problems when on rocky terrain and blisters from ill fitting shoes. Are there any companies that design boots to accommodate the 2nd toe and still keep a nice snug fit on the foot? I'm not aware of any boots for your specific need, but there may be some other options using a larger size boot. Preferably you should have little if any pressure from your toes against the front of your boot. 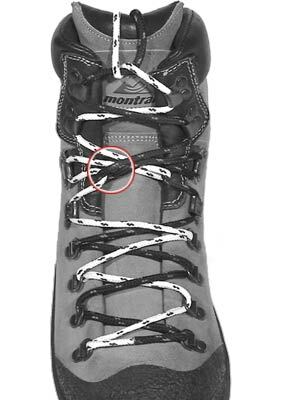 For me, the solution to a loose boot has been to add a second insole which keeps a laced boot snug at the ankle while leaving the toes with room to move. I would have preferred a single thicker insole, but it wasn't thick enough for my needs. Jonathan is a new contributor to this site. Take care in asking for clarification, commenting, and answering. Check out our Code of Conduct. Not the answer you're looking for? Browse other questions tagged boots footwear or ask your own question. What types of boots are good for caving? What are the pros and cons of custom-made hiking boots?